There are over 6000 clinical studies proving turmeric to be the #1 healing herb today. Health experts agree that eating a little bit of turmeric per day, about a teaspoon or so, can help your body fight off inflammation, pain, aging, even some cancers, and more. The reason turmeric is so beneficial is because of the most active compound it contains, called curcumin. Curcumin makes turmeric anti-inflammatory and it helps to fight free radicals, plaque, and other types of toxins and bad stuff in your body. Brain Support Boost - Turmeric helps keep brains healthy and functioning properly. 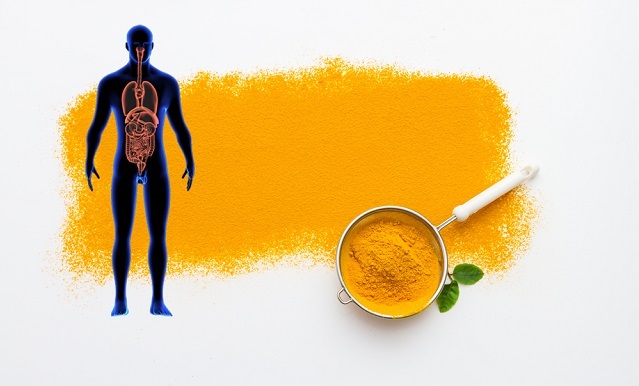 Researchers have found that curcumin, the main bio-active ingredients found in turmeric, can cross the blood-brain barrier and bind directly with plaque. It's been found to have a positive effect on overall cognitive function and may delay or even reverse certain brain diseases, such as Alzheimer's and dementia. Anti-Inflammatory Relief - The curcumin found in turmeric is a strong anti-inflammatory compound that works just as well, if not better, than many of the current anti-inflammatory drugs available. It can help ease inflammation due to inflammatory bowel disease, arthritis, pancreatitis and many other diseases. Aids in Cardiovascular Health - Once again the curcumin naturally found in turmeric is what works to remove built up plaque in our arteries and thus helps to prevent blood clots from forming. It helps our whole cardiovascular system and can effectively reduce levels of bad cholesterol (LDL). Improves Digestion - The curcumin in it has powerful anti-inflammation effects and works to ease and reduce bloating, gas, and other digestive tract problems. It also stimulates the gall bladder, so people with gall bladder disease should avoid turmeric in a daily basis to avoid the risk of over-stimulation. There are more positive health effects that can be gained from eating a teaspoon or so of turmeric every day, and the following video covers a few of them. Add more turmeric into your diet; try working it into meals, it tastes great in soups, stir fries, and smoothies!